What: The PBR is set to announce the new Believe In Tomorrow Bull Riders Team on Friday in advance of their Monster Energy Buck Off tour at Madison Square Garden. Fourteen years ago, Believe in Tomorrow and the PBR partnered up and developed the Hands On Bull Riding Adventure program to provide behind the scenes tours, and rider meet and greets, to critically ill children and their families. This weekend, critically ill children, all undergoing treatment at New York Presbyterian Hospital, and their families will join the PBR on Saturday, January 16 for the Hands on Bull Riding Adventure. To date, over 3500 individuals have benefitted from this partnership. The Believe In Tomorrow Children’s Foundation is a national leader in providing exceptional housing services to critically ill children and their families. Whether seeking overnight housing while a child receives treatment at the Johns Hopkins Children’s Center, or a weeklong retreat in one of seven beach and mountain respite homes, Believe In Tomorrow’s programs work hand in hand as a support system when families need it most. Each Hands On Adventure acts as an extension of the respite housing program to provide children unique opportunities nationwide, encouraging them to look past their illnesses toward the promise of tomorrow. Learn more at believeintomorrow.org. The Professional Bull Riders, Inc. (PBR) is the world’s premier bull riding organization. 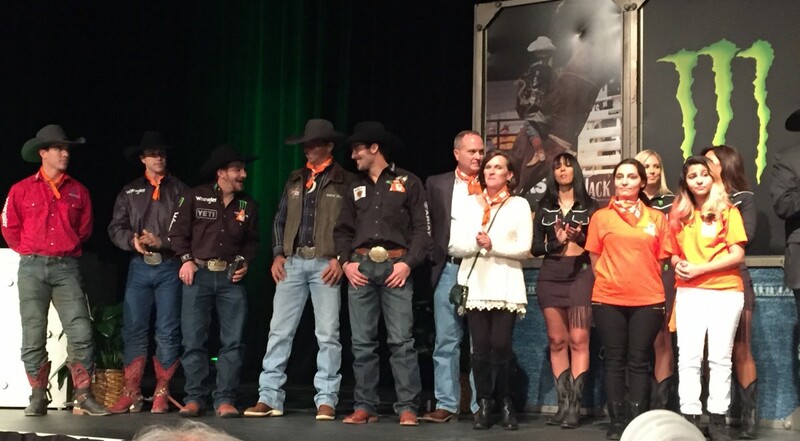 The PBR celebrates 20 years of competition with the 2103 season. In just two decades, the dream of 20 bull riders has become a global sports phenomenon with more than 100 million viewers annually watching primetime PBR programming on networks around the world, and nearly 2 million fans attending live events each year. PBR has paid out over $120 million in earnings to its athletes, and 25 riders have earned over $1 million, including Justin McBride with $5.5 million – the most of any western sports athlete in history. For more information on the PBR, go to www.pbr.com, or follow on Facebook at www.facebook.com/PBR, Twitter at http://twitter.com/PBR, and YouTube at www.YouTube.com/PBR.